I was lost in the moment. Sitting on top of Mt. Arbel while on a trip to Israel, I was incredibly aware of as how close we were to Jesus. There have been times before where I’ve been caught up in a moment of worship, or touched by something I heard or read… but nothing like this. We were overlooking a rugged terrain and had just learned that this place may have been the actual site of the feeding of the 5000. A herd of wild goats meandered up the side of the mountain and my camera was calling. Setting my Bible, notebook and water on the rocks I headed down the path… all the while wondering if Jesus had walked this path, sat on these rocks, felt the warm sun on His back. It was a beautiful place that that seemed frozen in time, untouched by the human hand. Exactly six months ago this week, Kevin and I were sitting in the Charlotte International Airport discussing a decision that was going to alter the course of our lives. We had been invited go to the Women of Faith conference with other Proverbs 31 Donors, and staff. I had been to NC many times for events with Proverbs 31, but this was the first time Kevin was able to go with me. He knew that Charlotte had already claimed a special place in my heart, but this time- it snagged his as well. We’ve known for over 3 years that God was doing something big in our life… we just couldn’t narrow down what it was until that weekend. Sitting in the airport that night we both knew that God was asking us to leave our life as we knew it and to trust Him with our future. Thursday night I sat, along with millions of other fans and my heart broke as one of my favorites said goodbye. It’s been all over the web the past few days… CNN’s headlines: “Death, A Nightmare for ‘Greys Anatomy’ fans.” Perez Hilton: “Mourn the Loss of Derek Shepherd, AKA Dr. McDreamy.” Facebook has been bombarded with fans sharing their feelings….and I totally get it! You get wrapped up in a show and the characters feel real. It took me a long time to ever watch ER again without George Clooney, who knows how long it will be before I can handle ‘Greys Anatomy’ again? Think about all of the people mourning the loss of a TV character- He was a major part of the show! Can Grey’s continue without Patrick Dempsey? Yes, but it wont be the same. This morning, while taking a walk, I was assaulted with a thought. All of these people (including me), feeling sad about this fictitious death…How many give a thought to what Jesus did for us all those years ago on the cross? A character dies on TV and we are wracked with grief. Do we take time other than Easter or maybe communion at church, to consider what Jesus did for you and for me? Matthew 20:28 says “The Son of Man did not come to be served, but to serve, and to give his life as a ransom for many.” Even in death, Jesus continues to save us. I’m certain that no TV character can ever claim that. 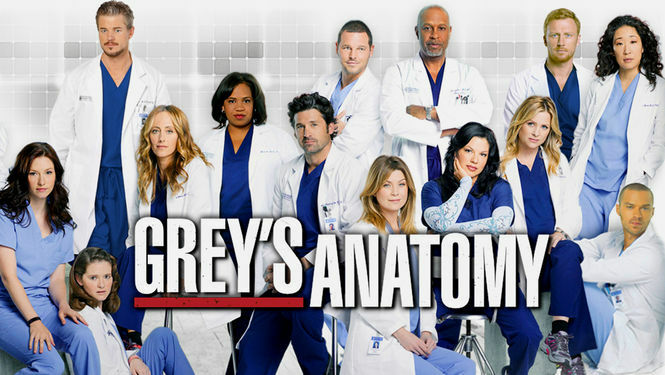 ‘Grey’s Anatomy’ will never be the same. What about the end of your story? You have the opportunity to make it a wonderful ending. What will you choose for your last scene? All it takes is a simple heartfelt prayer. It’s your choice. I know I am a sinner, and I ask for your forgiveness. 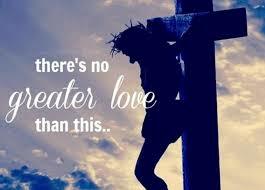 I believe you died for my sins and rose from the dead. I trust and follow you as my Lord and Savior. Guide my life and help me to do your will. What else do you do when you leave at 6am to be at the DMV when they open, so you can get your license... and They. Are. Closed. ?!?! You have a photo shoot and tell everyone else that shows up that it’s your birthday!